Superdry men's Retro stripe hoodie. 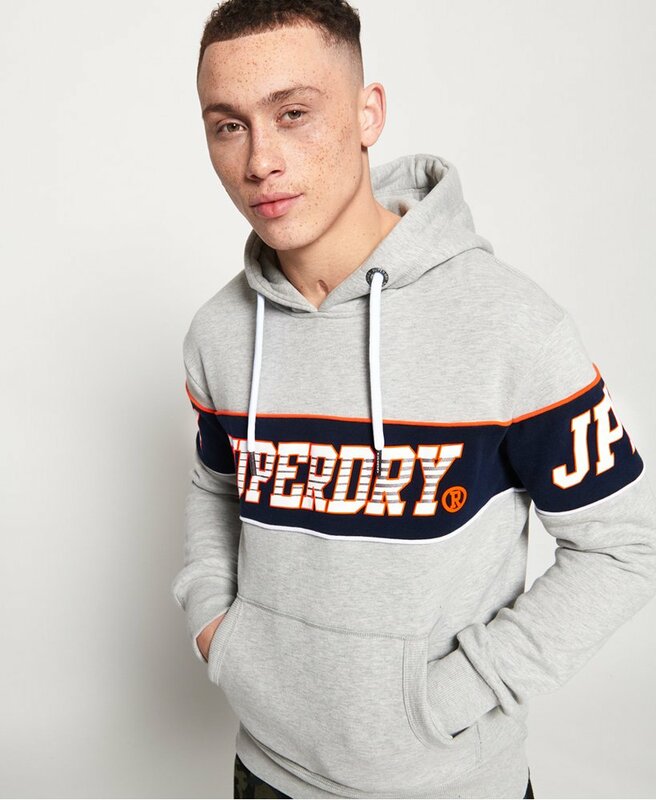 This classic overhead hoodie features a drawstring hood, stripe design across the chest and sleeves with logo detailing and a front pouch pocket. Completed with a logo tab on the hem for the finishing touch, this hoodie is the perfect piece to pair with slim joggers and trainers.